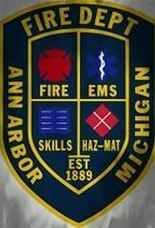 Firefighters put out a kitchen blaze in Ann Arbor Thursday night. Crews were called to a house in the 800 block of Wickfield Court at 9:16 p.m. after receiving reports of a house fire from neighbors, according to Ann Arbor fire Battalion Chief Steve Lowe. There was smoke coming from the one-story house when firefighters arrived. No one was inside the home at the time, Lowe said. The fire was contained to the kitchen where there was damage to the cabinets. The fire did not spread to the walls or the attic, according to Lowe. Fire officials are still investigating the cause.